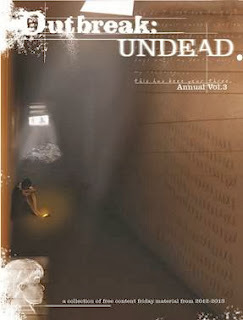 New November Releases: Outreak : Undead Annual Volume 3 and Camp Myth: The RPG! In this, the third volume of collected Free Content Friday, you will be able to enjoy all of what was offered throughout the year in a newly revised and edited format! Brilliant new settings including the depths of an Undercity, the Open Road and Caravans, and a Marina Stronghold, all of which are now available to you and your players. There is also the mini campaign as part of “Things That Go Crash In the Night III” where players can battle a host of modern takes on Greek mythology and monsters. There are things for all players new and old, for those just starting Outbreak: Undead campaigns or dedicated fans who want an easily referenced compilation of all of the past year’s editions of Free Content Friday. New from Greater Than Games! Sentinels of the Multiverse Products! Welcome to Rook City, where evil never sleeps and the streets are rife with crime and destruction! Even with the aid of two new allies; Mr. Fixer the martial arts master turned auto mechanic, and the gun-toting mercenary Expatriette, the heroes have their work cut out for them! Ancient deities, extra-planar elder gods, and dark spirits threaten the very fabric of reality! Master musician and magician of legend The Argent Adept, joins forces with the heroes along with NightMist, a cursed paranormal investigator. Sentinels of the Multiverse: Rook City & Infernal Relics Pack includes the first two expansions of this cooperative comic book card game for a totally of four Heroes, eight Villains, and four Environment! A full-color, 2’ x 4.6’ play mat printed with specific positions for decks, character cards, and trash for 3-5 Heroes, the Villain, and the Environment. Printed on high quality, scratch-resistant vinyl, these matts roll up concisely and resist damage. New from Game Salute! 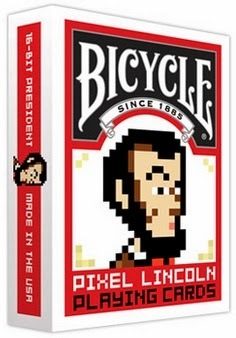 Pixel Lincoln Playing Card! 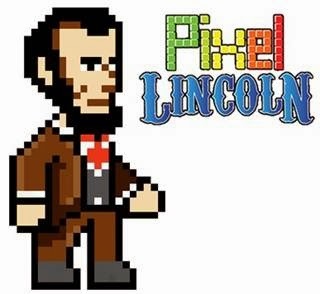 In Pixel Lincoln, you will travel through time and space, searching for the pieces needed to restore the balance of time. There are enemies in every corner, and as Pixel Lincoln, you must defeat them! This set of Bicycle Pixel Lincoln Cards is bringing this fun game to life with hero, villain and weapons card art from the game! New from Slugfest Games! Red Dragon Inn Products! 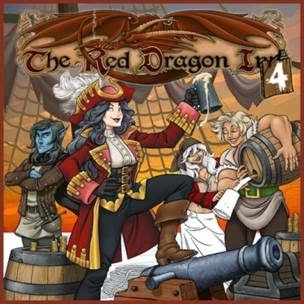 The Red Dragon Inn 4 introduces four new adventurers, the officers of the Crimson Drake. The Red Dragon Inn 4 also includes The Sea Event Dec, a new deck that gives you the option to play The Red Dragon Inn at sea! The Red Dragon Inn 4 may be played alone or combined with other versions of The Red Dragon Inn to allow games with more than 4 players! 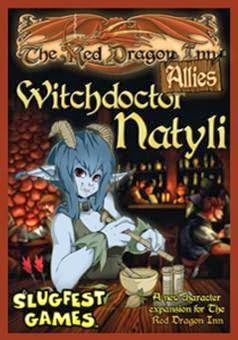 The Red Dragon Inn: Allies Witchdoctor Natyli expands the party at the Red Dragon Inn with a brand new troll shaman, introducing a new debuff mechanic that allows Natyli to temporarily weaken other players! The Red Dragon Inn: Allies is a series of expansions for any standalone The Red Dragon Inn game. Each Allies set includes a single Character Deck, plus components needed to add an additional player to a game of The Red Dragon Inn. The Red Dragon Inn: Allies Cormac the Mighty expands the party at the Red Dragon Inn with a brand new human barbarian, introducing a new rage mechanic that allows Cormac to hit harder at the cost of gaining more than the usual amounts of Alcohol Content. 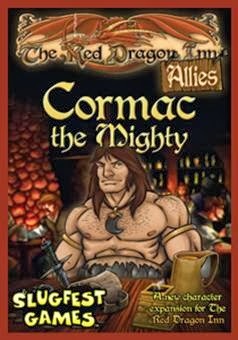 Careful management of Cormac’s rage level is the best way to victory. New from GMT Games! 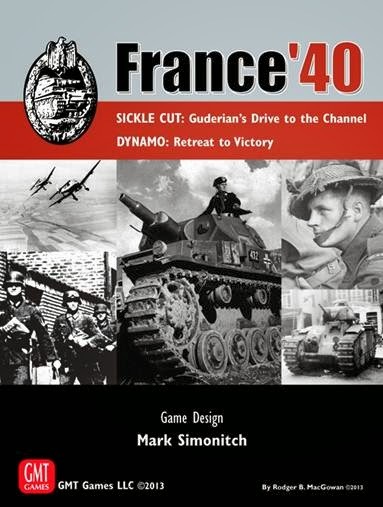 France '40: Guderian's Drive to the Channel! France ‘40 covers the crucial 10 days in May, 1940 when the German army broke the French line on the Meuse and raced to the sea at Abbeville. The daring sickle-like-cut across France cut off the BEF from their bases in Normandy and also trapped the French 1st and 7th Armies in Picardy. The French high-command became paralyzed and failed to counterattack. The British saw the situation was hopeless and headed for Dunkirk. It doomed France. The game starts on May 13th, the third day of Case Yellow. Six panzer divisions are already through the Ardennes and at the Meuse River. The French and British have already raced through Belgium to reach the Dyle Line and cover the Gembloux Gap. The stage is set. Can the Germans cross the Meuse in front of strong opposition? And if they can, will they be able to break out from the bridgeheads? And if they can do that, their advance across the map is threatened as Allied reinforcements pour in from the north (mainly British) and south (French). Most reinforcements are determined randomly so the German player never knows what to expect on his flanks. Rules highlight armor, air support and morale. Special rules include Allied Heavy Armor units, DeGaulle’s and Rommel’s initiative, Hitler’s Halt Order and French Command Paralysis. 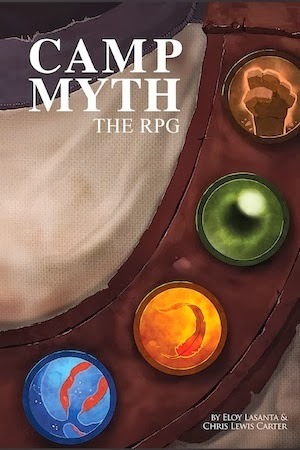 New from Chaosium! 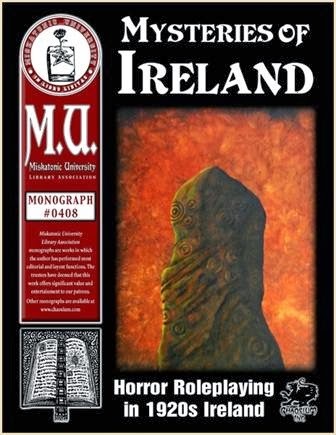 Call of Cthulhu: Mysteries of Ireland! From the hills the fairies whisper to lone strangers, “come join the dance”. Watching from beneath the waves are the Merrow, the dwellers of the deep. Strange noises and half-heard screams ring at night from the cellars of the towns and villages. The unwary go missing in the wilds, the locals say “Pooka”, and shake their heads. Fires are lit on the mountainsides and bones are cast into the flames; a young woman sits in a trance as ectoplasm oozes from her mouth, and she speaks of times-past in a voice that is not her own. All these things and more are waiting on this Celtic Isle. This is a land of roaring seas, deep lakes, green pastures, barren bogs, and heather-topped mountains. 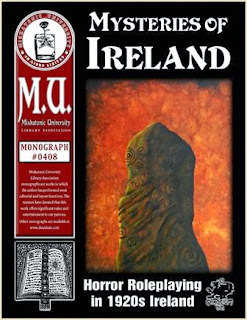 Mysteries of Ireland is a source book for the Call of Cthulhu roleplaying game. It is a guide for playing games and running scenarios in 1920s Ireland. This book contains information on life in Ireland during this period and includes Irish Myths, Legends and Superstitions, the Occult, and the Mythos. There is detailed information for Dublin and Belfast, two new investigator occupations: Tinkers and WWI Veterans, several new creatures, and three new scenarios. By Colin Dunlop. 104 pages. 8.5 x 11’’ Perfect-Bound, Paperback. New from Atlas Games! 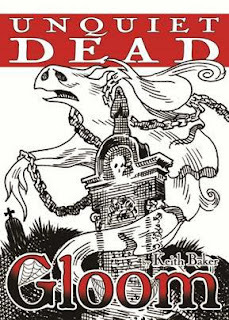 Gloom: Unquiet Dead! Stories: These cards give your families even more to fight over. Whoever claims a story gains a special benefit...but how long can you keep it? Undead: There are seven Modifiers that allow a Character to become a supernatural creature; a vampire, mummy, ghost, ghoul, wereduck, invisible person, or haunted portrait. These Undead Characters are both living and dead; you can still play Modifiers and Events on them, but they also count toward your Family Value and toward ending the game. 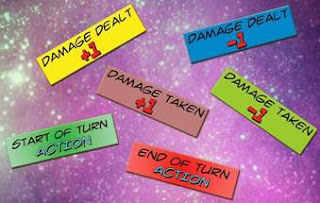 Timing Symbols: Card effects in Unquiet Dead have symbols to let you know whether a card has an Instant effect that occurs when the card is played from your hand; an Ongoing effect that lasts until it is covered by another card; or a Persistent effect that can last as long as the Character is still alive...or Undead. New from Pendelhaven Games! Fate of the Norns! New Pathfinder Munchkin from Steve Jackson Games! Coming Soon from Game Salute! New from Greater Than Games! Story War! New from Playroom Entertainment! Pass the Pandas! New from Mantic Games! Deadzone: Contagion! New Pokemon Products from Pokemon America! New from Alderac Entertainment Group! Canalis! New from Upper Deck! Marvel Legendary Play Mat! New from Game Salute! Rise and Phantom League!